BlackBerry insists that major price cuts given its flagship Z10 smartphone by U.S. carriers and retailers aren’t all that unusual. “It’s part of life cycle management to tier the pricing for current devices to make room for the next ones,” a company spokesman told The Wall Street Journal. And it’s certainly true that it is standard practice to discount older phones ahead of their successors. But slashing the price of a four-month-old device like the Z10? And by as much as 75 percent? That’s a price cut that seems both surprisingly early and deep — even if BlackBerry’s new A10 smartphone is expected at market this fall. 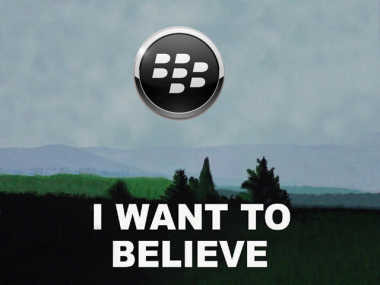 And, according to Nomura Equity Research analyst Stuart Jeffrey, it may not bode well for BlackBerry. Indeed, particularly after BlackBerry’s lousy first-quarter earnings, which boasted as its centerpiece a piddling 2.7 million BlackBerry 10 devices sold. So what’s the company to do? Hope like hell that the A10 is better received at market than the Z10. Beyond that? Keep its head down and continue to struggle for relevancy. It’s worth noting that the second possibility here is one that BlackBerry’s leadership has been mentioning more frequently recently. CEO Thorsten Heins touched on it during the company’s earnings call and again in its annual meeting.